Creating a positive culture is essential in todays workplace. Kudos Awards & Kudos Thanks have been designed to enable Social Recognition of the great work among your employees, so that the positive benefits of their achievement can proliferate across the organisation; driving more great work. Whether its ‘Employee of the Month’ or recognition of loyalty, when staff are recognised it helps them to build their profile within the organisation. 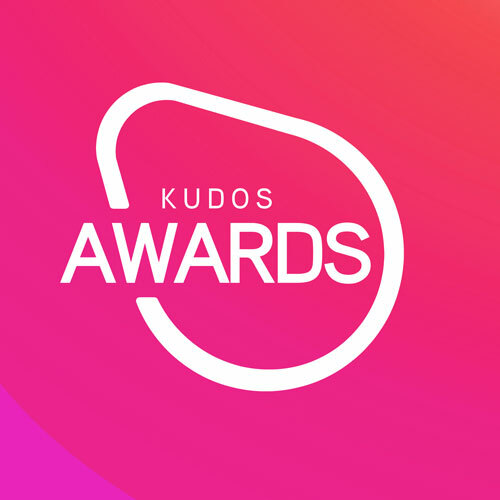 Kudos Awards takes Social Recognition to a new level by enabling peers and colleagues to “Like” and comment on the awards; resulting in a more engaged workforce. Adding Kudos Thanks and Awards to IBM Connections can re-enforce your culture and core values while making users proud of their IBM Connections Profile. 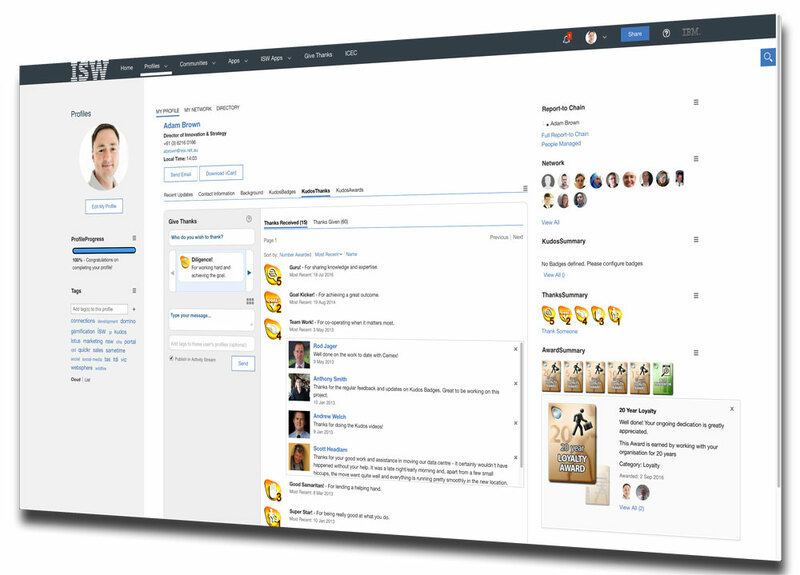 This in itself can help increase sustained adoption and engagement within the IBM Connections platform. There is nothing quite as simple as saying "Thank You" to provide some recognition of great work. Think about it for a moment...when somebody thanks you for your great idea, or for putting in that extra work to meet a deadline, or maybe for just being a good team mate, it makes you feel great and more motivated to stay engaged. That is why we have built Kudos Thanks, the peer to peer and team recognition tool for IBM Connections. We all do performance reviews (or we all should! ), however often the problem is that the various achievements or small goals we meet throughout the year can be easily forgotten. Why wait for the next big meeting to provide some feedback to your team. Kudos Thanks enables you to provide real time feedback and to publically acknowledge great work quickly and easily. The recognition then stays visible on the person's profile so that peers and colleagues can see and recognise the value that is placed on a persons work. Thanks doesn't always come from your boss either! Often having your direct peers thank you for some great work can be a great motivator. With Kudos Thanks users of IBM Connections can select from a range of Thanks related badges, choose who to award the thanks to, add a message and send it off! The Thanks will appear on the users profile as well as integrate within their Activity Steam so that others can see as well. Kudos Awards allows management to acknowledge great achievements among their workforce. Using Kudos you can build and customize an awards and recognition program to suit your organisation, such as certifications that have been achieved, awards for tenure or years of employment, any many other examples. Kudos Awards can be granted either manually (using the Kudos Awarder Widget) by authorised users, or they can be awarded automatically by setting up Kudos Metrics for the award criteria. Kudos Metrics enables rules to be defined based on data stored in Connections or other data sources via JDBC. For example you might store the Employment Start Date for users within their Connections Profile and on the basis of this award Tenure Awards for the number of years employed. When Awards and Thanks are received they appear in the IBM Connections news feed and other users can use social features such as "Like" and Comments to respond and congratulate the user on their awards and achievements.